The My Course Analytics Dashboard (MCAD) is designed to provide faculty members with aggregate data on student demographics and grades for all courses they have taught since 2010. The primary goal is to provide instructors with student diversity information that they can use to support their instructional goals. You are under no obligation to access this information, but we believe that most faculty members will find it useful. We also offer workshops and resources for helping instructors make the most of the data. Note: Access to My Course Analytics is currently limited to faculty members participating in the pilot. Plans for expanding access to all Carolina faculty members will be announced later this year. If you are a member of the pilot group and have not yet accessed your course data, you will first need to complete the MCAD Instructor Orientation in Sakai to gain access. If you have already completed the MCAD Instructor Orientation and accessed your course data, you can return to the Dashboard via this link. 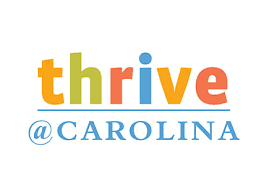 The MCAD data is connected to THRIVE, an initiative to promote success and degree completion for all students at Carolina.